Off-site stick built BERACAH homes are built in a factory and benefit from the assembly line production process. BERACAH buys huge quantities of lumber, sheet rock, cabinets, paint, etc. We pay less for each and can have large quantities delivered at one time. Labor is used with maximum efficiency with skilled craftsmen moving between workstations on the factory floor. are built in a modern controlled environment and they are precision engineered for a lifetime of trouble-free structural durability. Quality control is maintained by constant inspection throughout the construction process. To ensure a safe and secure trip to your property, BERACAH homes are built especially well using high quality materials. For example, there is typically 30% more lumber used in framing your home, and we glue as well as nail or screw the components of the home together. ➢“I need more money”…The homeowner’s worst nightmare. The job is half finished and your builder tells you he is way over budget and needs more money or else he will quit. BERACAH off-site built homes come at a guaranteed price without cost overruns. ➢The vanishing builder…Everyone knows someone who has had this problem - just don’t let it happen to you. You do not want an unfinished house slowly rotting away in the rain. When you buy a BERACAH home, your house is about 80% complete and under roof, the day of delivery. ➢The pre-soaked house…Maybe you like your jeans pre-washed, but you don’t want your house to come that way! A site-built house open to the rain can cause your wood to warp or swell, problems you will never get rid of in a lifetime of ownership. BERACAH homes are built in a controlled environment under the factory roof and are transported in weather-resistant house wrapping. ➢The unexpected un-inspected house…Often times you don’t really know what quality you are getting with a site-built house. BERACAH homes are thoroughly checked over before they leave the factory. A quality control process provides 100% assurance that your home has been inspected for code compliance and workmanship. In-plant inspectors, as well as independent inspection agencies, inspect the home on behalf of your state & local government. On the average, a home will be built in the factory within three weeks. 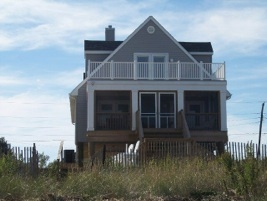 Once your home is placed on its foundation, final completion may take an additional four to eight weeks. This schedule allows you to move in more quickly, and knowing when your home will be ready, helps you plan your move better. Site preparation work differs for each property, and Coastal Homes can provide a more exact schedule for your home. Repair bills can really add up. BERACAH homes are built in a modern, controlled environment using high quality materials. They are precision engineered for a lifetime of trouble-free structural durability. A well-built BERACAH home is a home that is easier and less costly to maintain. Additional factory insulation and precision building techniques make a BERACAH home a super efficient energy conserving home; this cost savings lasts every year you are living in your home. BERACAH HOMES, INC. has many different design plans for you to choose from. You can even design your own house and the BERACAH engineers will work with Coastal Homes to bring it to a reality. Beracah homes are becoming extremely popular and almost all financial institutions are eager to finance your new home. From the outside your home will look like it was built on site. BERACAH homes are built to last; after many years, the quality shows through. Your home requires less maintenance and your energy bills are lower. When you decide to sell your home, you will be glad it’s a BERACAH!